It’s all about weddings at the moment. 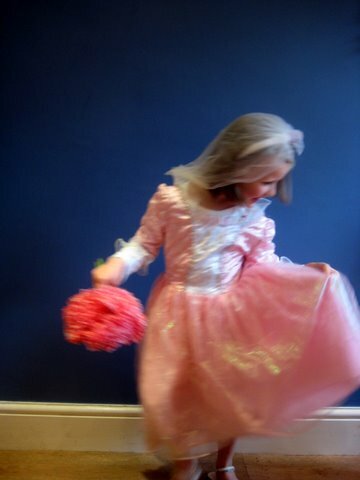 I don’t think L knows there’s a royal wedding on the way but maybe it’s just a case of love in the air because all of a sudden she wants to wear a wedding costume and dress up as a bride. And every bride needs some flowers right? 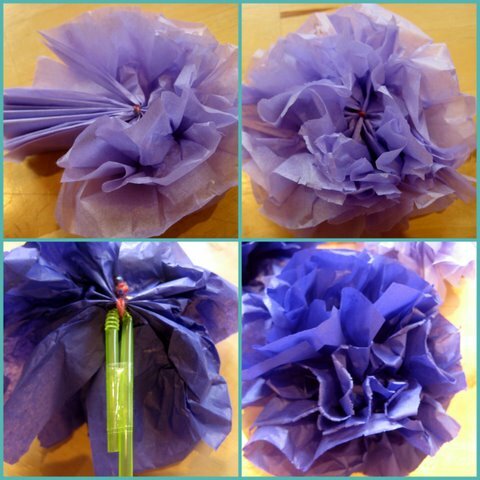 Here’s our quick and easy version of how to make a wedding bouquet. 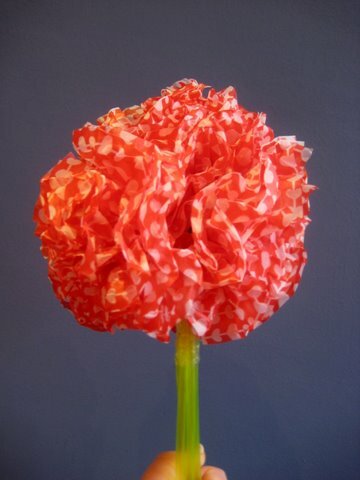 We used the same technique we used when we made our opulent tissue paper flowers for our Mothers’ Day flower craft (follow the link for full instructions). Once we had five or six flowers we simply fastened the drinking straw stems together with sticky tape and the blushing bride had her beautiful bouquet. Easy-peasy and ever so pretty. A wedding bouquet fit for a queen! Oooh very pretty! And yes perfect for the Royal Wedding! We like!!!! Thanks for linking up to Kids Get Crafty! What a great pic of L! Love action shots to capture a moment! The bouquet is too sweet! Will definitely try it! Thanks Kerri – the girl can swoosh! That’s a cute wedding bouquet! Oh they look fabulous and that photo is wonderful! The patterned tissue made a beautiful bouquet. This is just what we were looking for. We actually wanted to hang them from the ceiling over some of our tween beds. Now we have the how to. Kelly – Yay! I’m so pleased we had what you were looking for!